Made to fit Emperor 6'6" and 7' Beds. 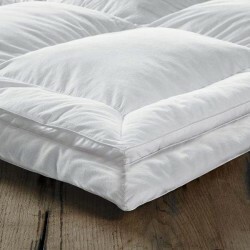 Mattress toppers to fit UK Single, Double, King and Super King bed sizes. In a range of high quality polyester and natural fillings.